IGI Thimble Farm Hub is a part of non-profit Island Grown Initiative (IGI). Their salad greens, herbs and tomatoes are grown hydroponically, with an aquaculture system raising rainbow trout adding nutrients to the system. Although they don’t sell directly to the public other than through a winter CSA, their produce is sold through local grocers and in restaurants. During the school year, they supply Island schools with fresh, locally grown greens and produce to help the students have a healthier middle-of-the-day meal. 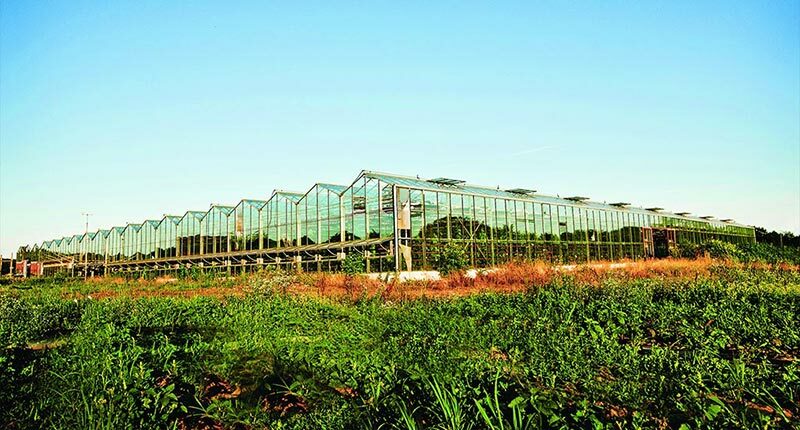 In 2013, Island Grown Initiative’s 40-acre Thimble Farm officially got underway, renovating and outfitting a 30,000 square foot greenhouse, and plowing fields. IGI’s mission in life is to encourage and support a resilient local food system on the Island, and to provide education and support to the local community. Although salad greens, herbs and tomatoes are their primary focus, they experiment with a variety of crops, artichokes and berries for example, to see what they can produce hydroponically. They don’t sell directly to the public other than through a winter CSA, but their produce is sold through local grocers and in restaurants, and during the school year, students reap the bounty of their weekly harvest. The farm has recently added rainbow trout via an aquaponics component, and a homestead orchard utilizing regenerative farming practices, and provides space for community gardens.